According to American clairvoyant Edgar Cayce, astrology is not meant to predict, but can be helpful when considering our soul's journey. Indeed, in the life readings he did for thousands of people, he referred to astrology frequently. The Cayce material is particularly fascinating to me, as it connects many esoteric ideas, like reincarnation and astrology, soulmates, life lessons — and the planets. 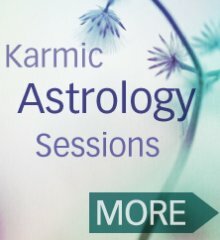 Personally, I was drawn to karmic astrology because of its empowering approach. It doesn't predict, but it gives me helpful perspectives on why I have chosen the life that I have, what my innate talents are and where I'm here to grow. I was tickled to discover that Edgar Cayce validated the spiritual potential of astrology in thousands of his life readings. Edgar Cayce's astrology mentions clearly link the planets with the spiritual and karmic aspects of life. With respect to karma, his readings also connect the planets with the Akashic Records. 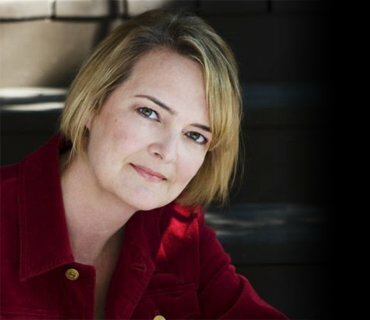 The Akashic Records are kind of like a spiritual ‘computer’ containing every energetic imprint created by a soul through his or her thoughts, emotions, intentions and actions over lifetimes. These records hold the impressions of both individuals, and of humanity as a whole. It's very interesting to note that our intentions — even more so than our actions — trigger karma. So always check in with yourself around your intentions when you're considering a course of action. And also check in with how you're feeling. Here's a good interview of author Kevin Todeschi about the Akashic records. The karmic astrology perspective says that our astrological charts are our soul's energetic blueprint. Indeed, once we become aware of what our souls want from us, we have a remarkable opportunity to consciously choose a path of growth. For me, this is exciting and empowering! 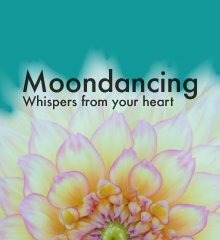 The information we can glean from astrology is the same information that is contained within the Akashic records, though depending on who you work with, may be articulated in slightly different ways. Personally, whenever I've explored, I've found the same themes coming up for me again and again. It's validating when that happens. Everything really and truly is connected. Based on Edgar Cayce, astrology and the planets do not control us and there is no such thing as astrological fate. Rather, the planetary configuration under which we were born symbolically represents who we are at a soul level. This impression, this complex energetic matrix, is also recorded in the Akashic Records, along with how we have chosen to handle these planetary influences. The Edgar Cayce astrology information goes further. Not only does it strongly emphasize the power of our individual free will, it also conveys that our charts are not good predicters of where our lives our going. Explicitly, the readings state that free will is the strongest factor in creating our lives — period. Part of being human is the power to choose. There are only possibilities, probabilities and choice — rather than fate and destiny at work in your life. Your free will always, always is the biggest influencer on your happiness. So choose wisely. Our lives, and lives upon lives are an endless series of cycles. How we handle situations, people and events as they come up, influence the lessons we'll create for ourselves in future lifetimes. With practice (hopefully!) we continue to grow. The Edgar Cayce astrology material does say that planetary transits are linked to life cycles, and life lessons. I see transits, as energetic themes. They may be challenging, or they may help us manifest something we want. However, we always choose how we meet them. Want more on Edgar Cayce and astrology? If you want to read more about Edgar Cayce and astrology, I recommend reading Edgar Cayce on the Akashic Records by Kevin J. Todeschi. The Karmic astrology sessions I offer are aligned with the Cayce material. This spiritual approach to astrology delves into matters of karma, reincarnation and the soul. And it reveals your soul purpose and what you're here to learn as well. Hope you enjoyed this summary on Edgar Cayce and astrology! Edgar Cayce — Read more about the man called North America's most documented psychic. Learn more about my private karmic astrology sessions.